Greetings! 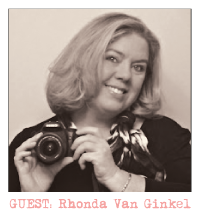 It's Rhonda Van Ginkel here today to host the blog as a Guest Designer. I was so honored to get the chance to work with some fun products! I created a page for you today featuring some really beautiful papers from the Neon Vibe collection along with some Paper Doilies and Sundries. The pretty envelope was the perfect anchor to my design, it's been embellished with a bit of modeling paste and sprinkled with a variety of mist colors. Do you ever take photos of the signs for places you visit? 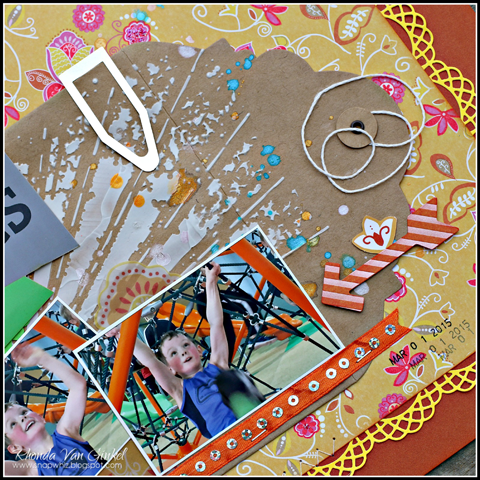 I never used to until I began scrapbooking. Sometimes those images really help give a bit of fun design to your page. That's what I decided to do here. I adore the sequin ribbon in the Hoo's Sweet Sundries pack and used it as an anchor on the bottom of the envelope. The large paper clip is from the Forever Sassy Sundries pack. 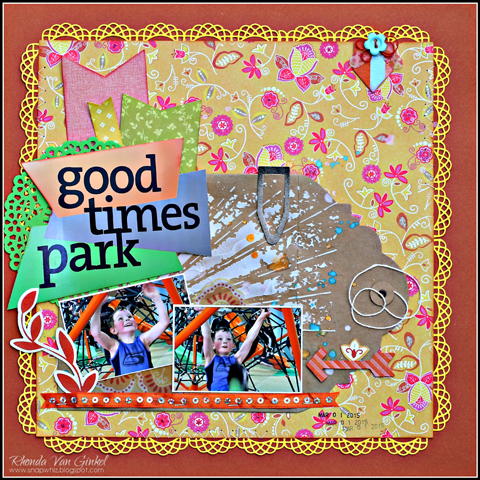 The die cut elements are just perfect to finish your page beautifully! Thank you so much for the opportunity to design for you today. I'll be back tomorrow with a bit more inspiration for you. What a fun page! Who would think to use such vibrant pink on a boy page? But it looks great!